As an atrial fibrillation patient, you must take responsibility for your condition. Your doctor is there to help, but your success in managing, treating, and curing afib rests squarely on your shoulders. What can you do to ensure success? Become an equal partner with your doctor or health care team. Too often patients put doctors on a pedestal, which can be fatal. Doctors are humans, too. They are rushed and overstressed by a health care system that is out of control. Nobody cares as much as you do about your health, so make sure that you are steering the ship. Be educated and do your homework — this is your #1 priority in managing your afib. You or your advocate should be educated about afib. Be proactive — you have to take charge of your own health. Know what to ask your doctor, take questions to each visit, and think about these questions in advance to make sure that you cover everything. Be assertive to get the care that you deserve. Doctors appreciate knowledgeable, informed, and prepared patients. Learn to communicate effectively with your doctor — while some men may say "my doctor doesn't listen or understand", it's even more common to hear that from women. If you communicate through feelings, and your doctor is trained to listen for facts and symptoms, you will fail to communicate. If you can use facts, such as "This medicine made me fall asleep at work" instead of "I feel badly from this medicine", your doctor just may hear and understand. Understand how doctors think — there is a great book by Jerome Groopman called How Doctors Think. Be prepared to discuss a referral to a specialist who can help with your afib. Know when to say "Next" — if your doctor intimidates or overpowers you, or doesn't listen or even ask, then it's time to move on. You must have mutual respect to be equal partners. Many patients expressed extreme frustration about having "the conversation" with their doctor. They wanted a cure, but their doctor was reluctant to refer them. Often their doctor wanted to continue with the same old routine that wasn't working. In many cases that was because the doctor didn't understand what the patient was going through with afib. As one patient put it, "You can't imagine how frustrating it is when your doctor says, 'On a scale of things you need to worry about, this one is way down here,' and puts his hand close to the floor as you're thinking that it's obvious that he doesn't have afib or he would know how it takes control of your life." Communicate effectively and persuasively with your doctor about what afib is doing to you. Many doctors see afib as benign because their patients simply haven't been able to make the case clearly enough, or the doctor just wasn't listening. Some patients said that their doctors didn't know about cures. Others said that when they suggested a cure their doctor shot it down immediately saying, "That cure doesn't work." Maybe those doctors were just ill informed, or maybe they had a vested interest and only wanted to do things that they, or their practice, could do. That is an economic issue for them, which we can understand. But don't let that get in the way of what you need. In some cases, patients and their doctors were just coming from different places. The doctor wanted to exhaust all less-invasive options first, but to the patient, multiple tries of the same procedure with no results simply made no sense. The patient needed and wanted a solution immediately, so skipping straight to a cure made sense. One patient mentioned having a running buddy that was a doctor, so he practiced his pitch to his doctor in "discussions with Doc." Consider practicing with someone, preferably a fact-based thinker, before you broach with your doctor about getting a referral for a procedure. What is the doctor's training and background? How did the doctor learn the procedure, and who did he or she learn it from? Why did the doctor choose to do this particular procedure and use this particular device? Is it the best at solving this problem? 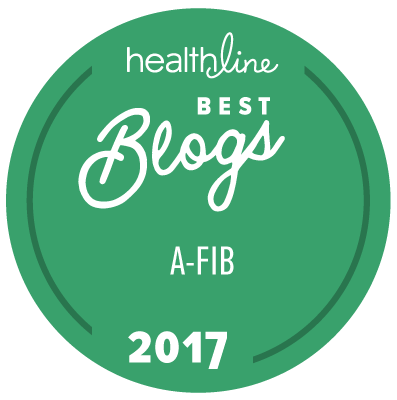 What is the history of the procedure and the history of the device, and what are the results on your type of afib? What are his or her own results on your type of afib? Does this doctor understand how afib affects you and inspire your confidence that he or she can solve your problem? Before having a consultation for catheter ablation or surgical ablation, be sure to also look over Questions to ask EPs or Surgeons about their Procedures for Treating Atrial Fibrillation at another afib patient's site. For more about evaluating doctors and procedures, see Comments on Devices and Doctors.